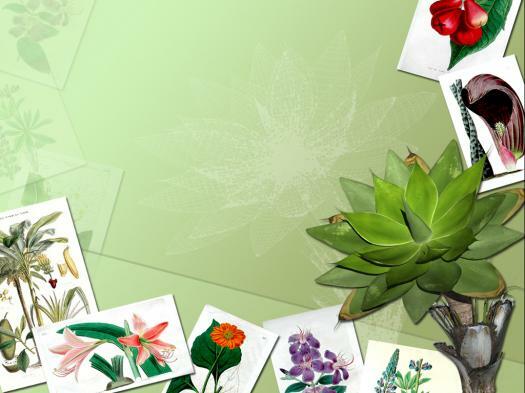 BOTANY LAB EXAM This test will take test your skills on laboratory information. You will need to know structures, taxonomy, adaptations found on all organisms observed under microscope or models. An ovule contains a _______which contains nucellus and a megasporocyte. Ginkophyta mature seed enclosed with a fleshy seed coat give off what kind of odor? What part of a euglenoid propels it? What is the name of the knoblike tissue that anchors the sporophyte to the gametophyte? What characteristic do all angiosperms have in common? They contain a protected seed within a flower. They need water for the sperm to swim to the egg. They do not have a vascular system. If the seed has two distinct cotyledons, is this considered a monocot or a dicot? Which gymnosperm division has the most economically useful species? Pine trees fall into which gymnosperm division? How does a moss differ from a fern. Moss roots grow vertically as well as horizontally. Fern roots only grow horizontally. Moss has vascular tissue (xylem and phloem) whereas ferns do not. Ferns have vascular tissue (xylem and phloem) whereas moss does not. There is no difference between the two- they are actually synonyms. Angiosperms are broken down further into two groups: monocots and ______________. Which division of plants causes horrible symptoms for allergy sufferers? Root hairs are extensions of which of the following kinds of cells? Phototropism in plants is mediated by what plant growth substance? Which of the following most directly controls the flowering response in short-day plants? Which of the following tissue types gives rise to all other plant tissue? Only female gametes are produced in which of the following structures? Which of the following describes the mechanism by which a plant stem grows toward light? Nervelike impulses stimulate contractile cells on the lighted side of the stem. Cells on the dark side of the stem elongate more than those on the lighted side. The plant grows into an open area where its leaves will not be shaded by competing plants. The greater energy supply on the lighted side of the stem stimulates metabolism and growth on that side. Which of the following is primarily responsible for cell elongation, gravitropism, and apical dominance in plants? Which labeled structure shown in Figure 24-4 receives pollen during pollination? Which labeled part of the flower in Figure 24-4 produces pollen grains? Which Labeled structure in Figure 24-4 is most likely to be brightly colored? Which structures labeled shown in Figure 24-4 are the male parts? Which labeled parts are the female parts? In mosses and liverworts, male antheridia produce______ and female archegonia produce_____. Which of the following is involved in the control of water movement into a plant vascular cylinder? Which of these is a mutualistic association of plant roots and fungi? Sugar movement through a plant is best described as going from a _____________ to a ______________. Anchor the plant to the soil. Are Fungi Eukaryotic or Prokaryotic? Which of the following is true about Zygomycota's Asexual reproduction? Which Phylum is known as the "sac" fungi? Which of the following are characteristics of Sexual reproduction in Ascomycota's? Which of the following are Harmful Ascomycota? A fruit is a mature _______. A fruit in which some additional parts are retained. Most fruits develop from one flower with only one pistil. What is this general fruit type? Some fruits develop from one flower that has several pistils. What is the name of this general fruit type? In a few species the ovaries of several distinct flowers fuse and form one fruit. Name this general fruit type. Type of fleshy fruit that has one to several carpels, each of which is typically many seeded. Type of fleshy fruit where there may be one to several carpels, but each carpel usually contains only a single seed. Highly specialized fleshy fruit that is derived from a compound inferior ovary in which the fleshy portion comes largely from the enlarged base of the perianth. Type of fruit in which the tissues of the mature ovary wall break open, freeing the seeds. Fleshy tissue between the exocarp and endocarp.